At TS Freight, we undertake cargo shipping to Chile from anywhere in China. We are one of China’s premium freight shipping companies, offering you not only cost effective shipping to Chile packages, but also give you honest and expert advice on choosing the right shipping service based on the specific needs of your supply chain business. What sets TS Freight apart from its competitors is the passion we have for our jobs. We don’t just offer you cargo shipping to Chile services, but we offer you a one-stop solution to all your shipping needs under a single roof; having designed for you completely integrated logistics options that will streamline the process so that you don’t have to waste your time and money doing the same. From pickup of cargo to packing it up and handling loading, unloading and documentation, when you hire the services of our company, you find a reliable partner that goes out of the way to simplify your job, so that you can concentrate on the growth of your business rather than delve in to the intricate details of international shipping to Chile. 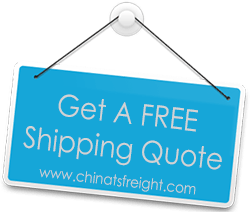 We offer freight transportation both by sea and air, anywhere from China, covering all major ports like Tianjin, Shenzhen, Guangzhou, Shanghai, Xiamen , Ningbo, Hangzhou, Hong Kong etc and more. And when it comes to cargo shipping to Chile, we can ship your goods to all the major ports like Antofagasta, Santiago, Valparaiso, Puente Alto, Talcahuano, Temuco, San Bernardo, Concepcion, Iquique, Corral, Arica and more. Irrespective of the type of goods you want shipped to Chile, we offer to our customers’ complete assistance and support to transport their cargo from China to any major city in Chile in the fastest, safest and most economical way.